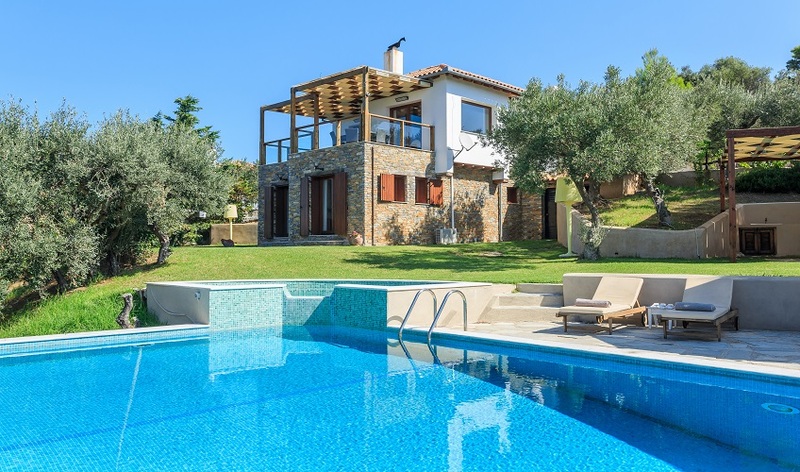 Villa Mare sits high on the beautiful Pounta Peninsula overlooking the stunning blue waters of the Aegean Sea. 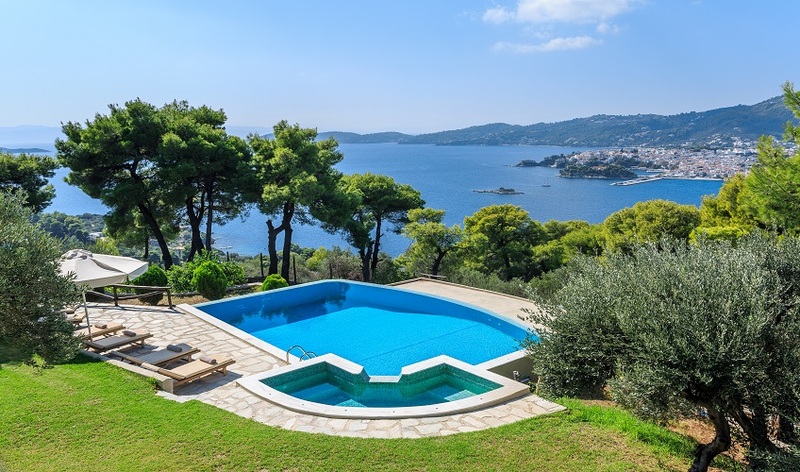 The island of Skiathos is well known for its beaches, with crystal clear waters and fine golden sand. 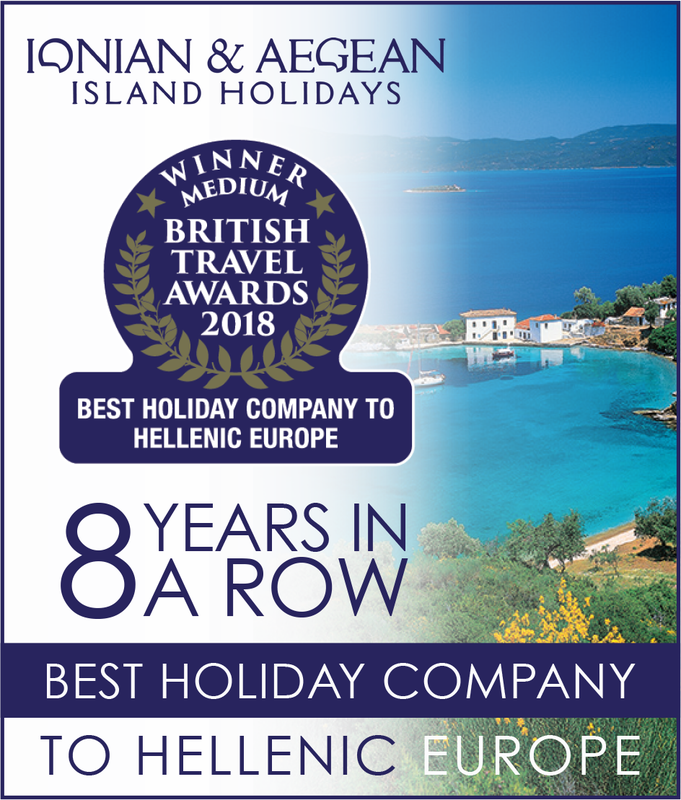 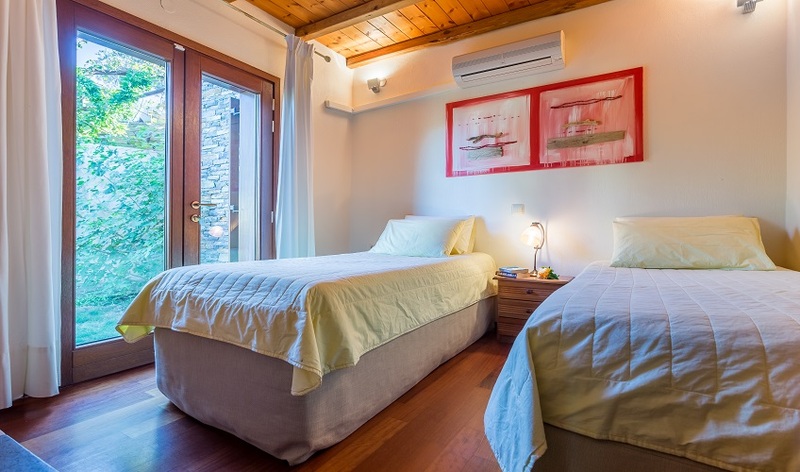 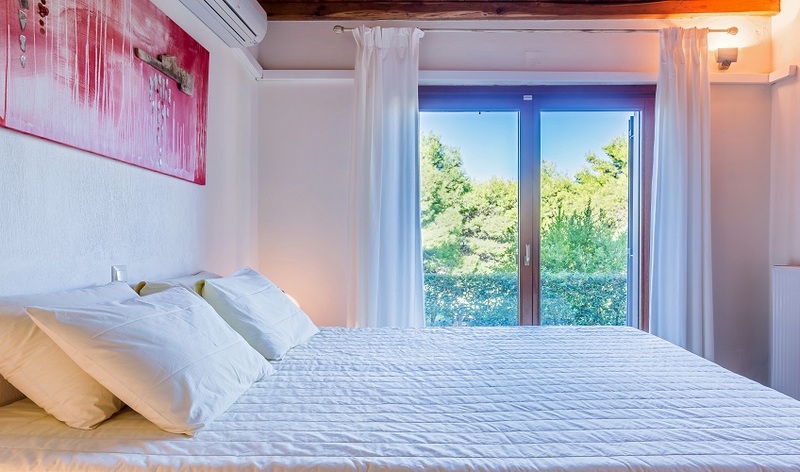 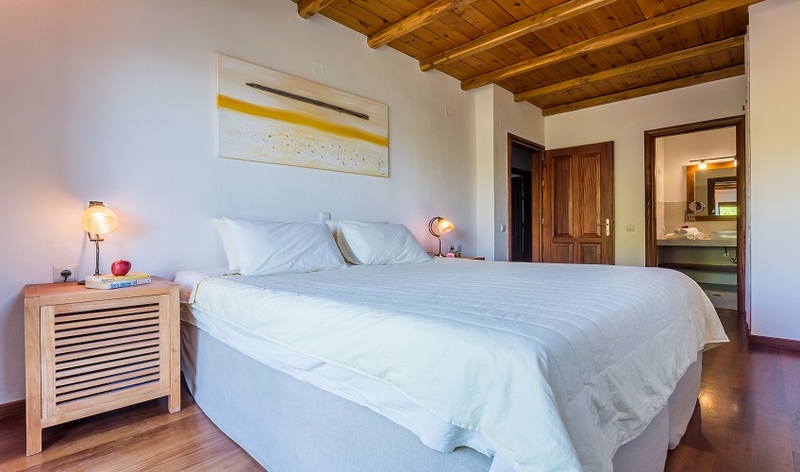 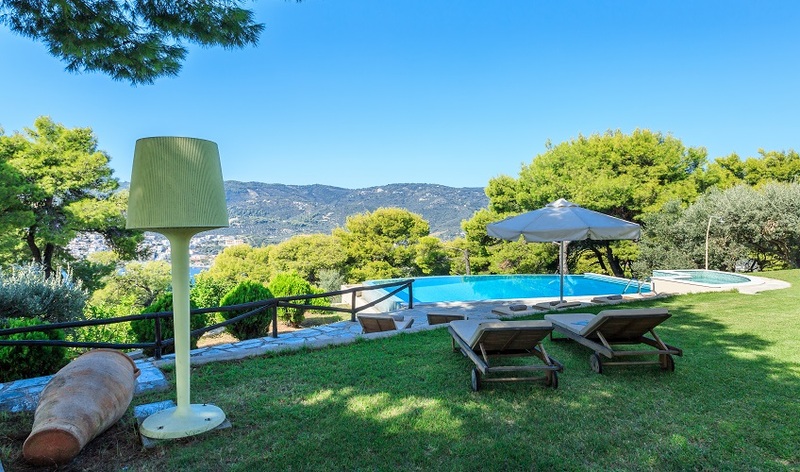 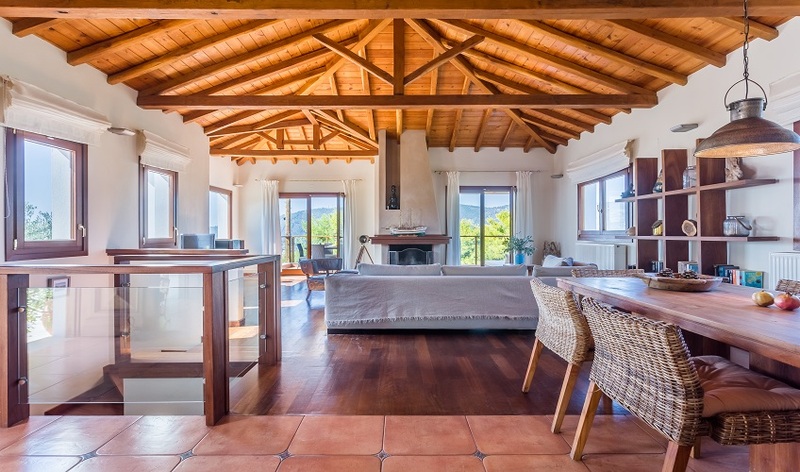 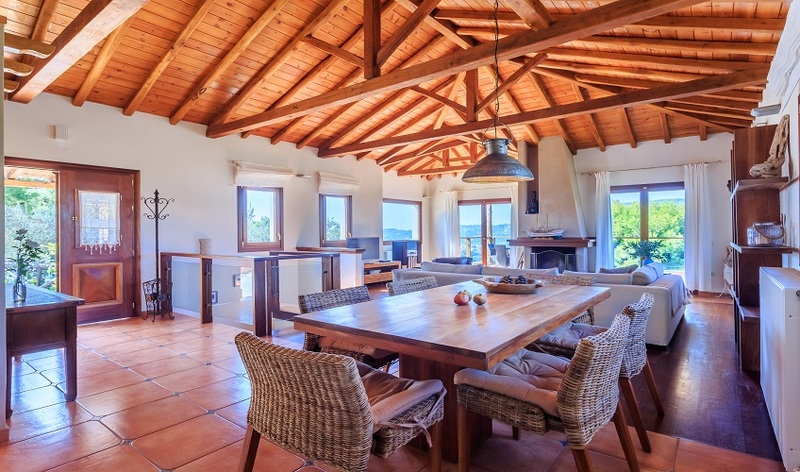 Villa Mare is located on the beautiful Pounta Peninsula overlooking the stunning blue waters of the Aegean Sea and across to Skiathos Town where the lights twinkle at night. 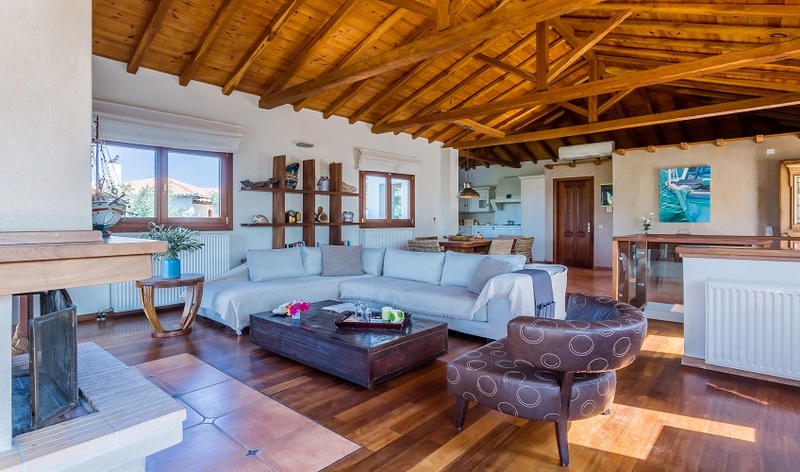 A perfect base from which to explore this stunning island. 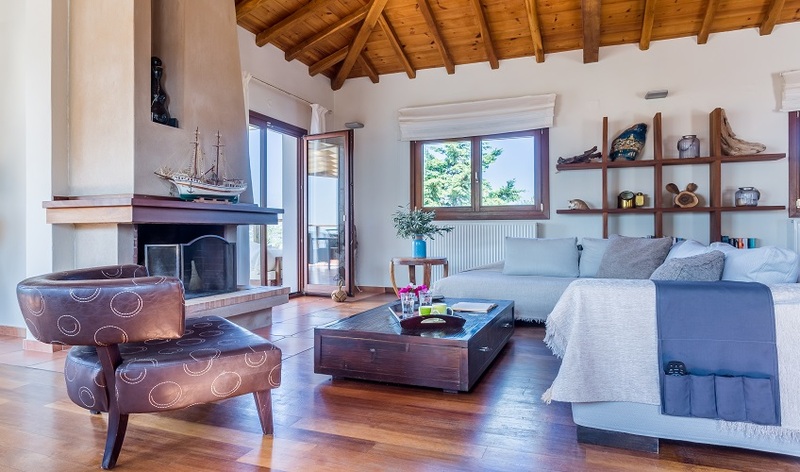 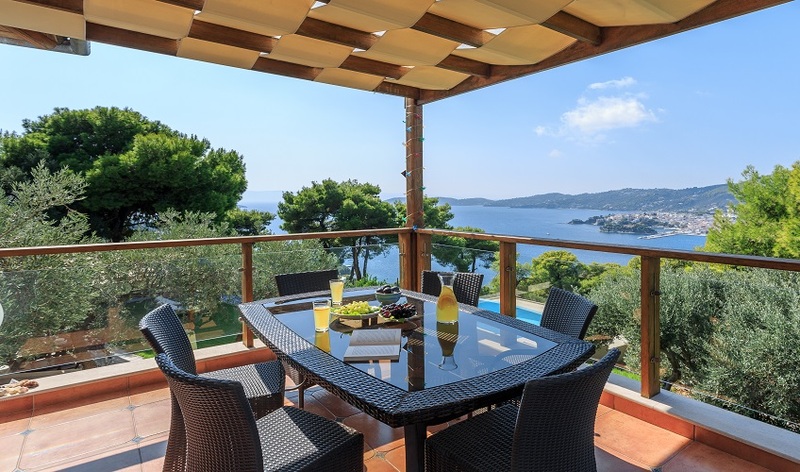 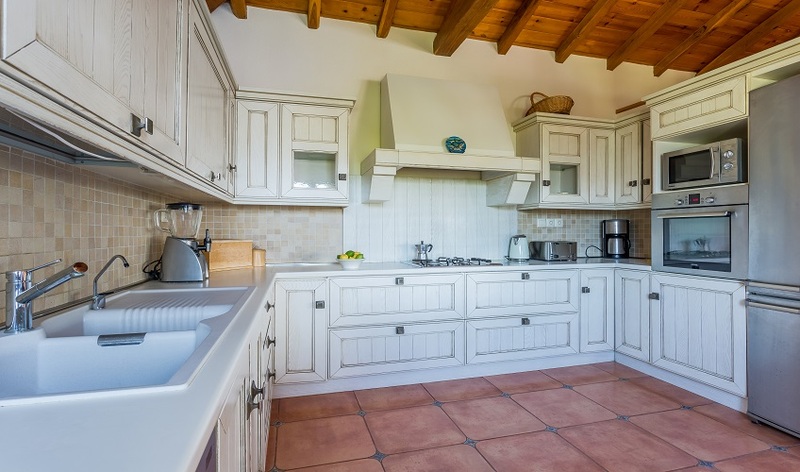 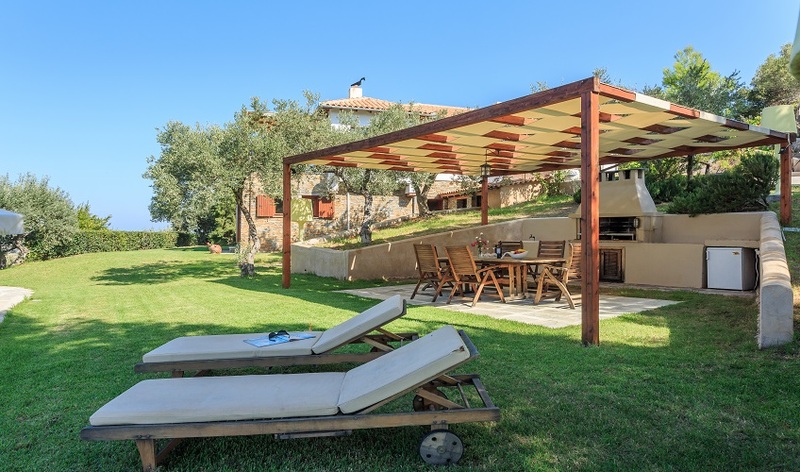 Villa Mare is a stylish property which blends perfectly into its beautifully landscaped surroundings. 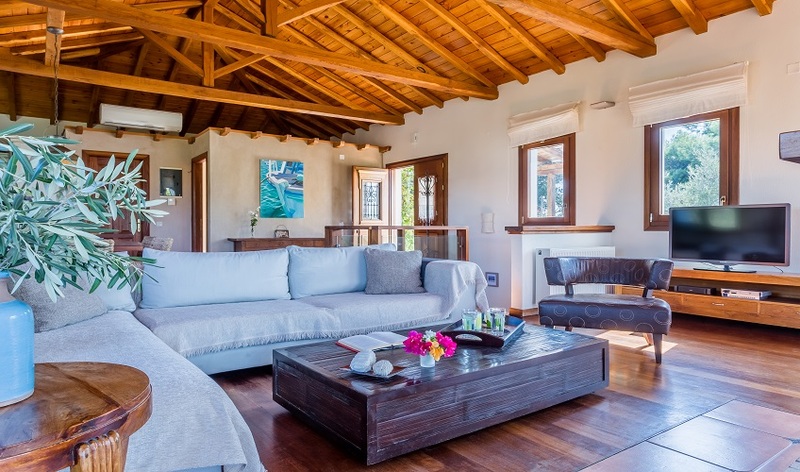 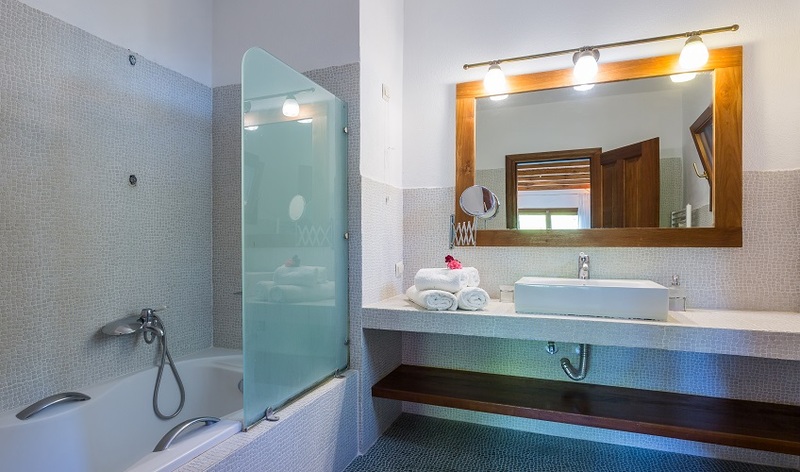 Cool, comfortable and very spacious the open plan interior of the villa is matched by a large shaded outdoor terrace overlooking the infinity pool with its additional attached jacuzzi. 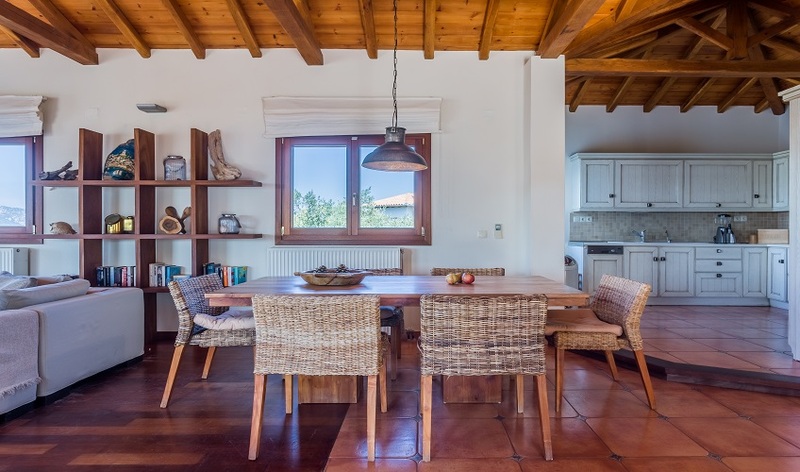 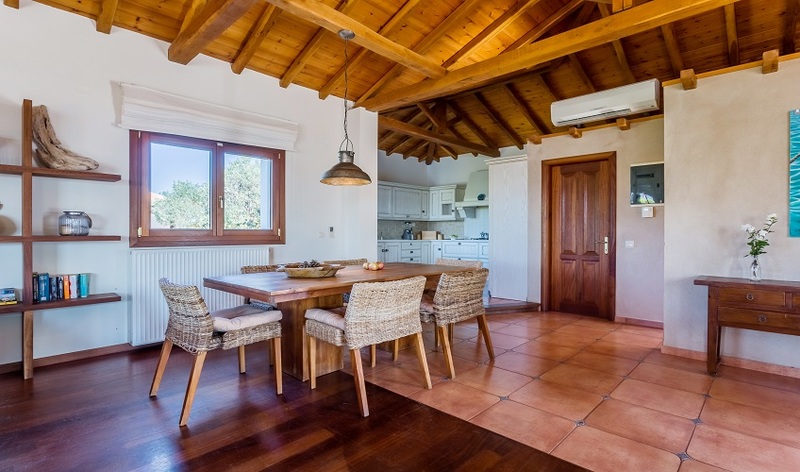 The villa is perfectly designed for those who love to dine al fresco with its built-in barbecue and outdoor dining area perfect for those balmy summer evenings. 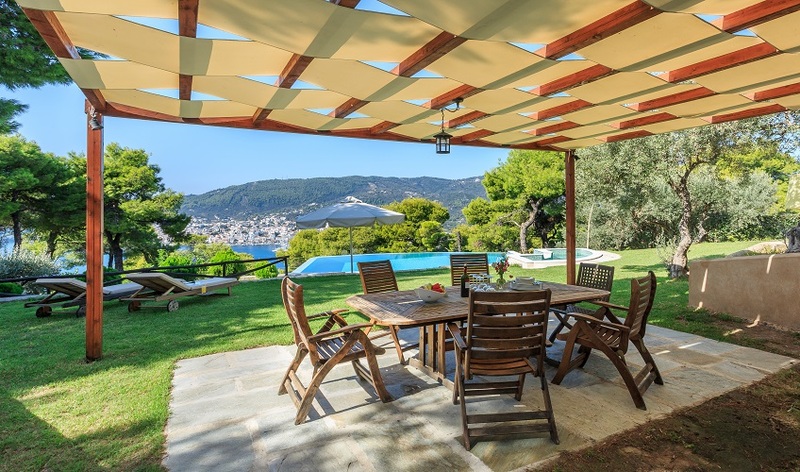 A unique villa in an outstanding setting! 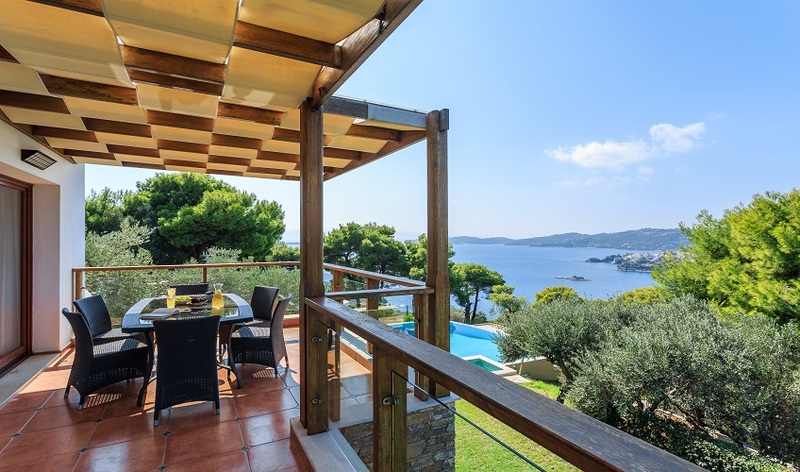 NB: Villa Mare is located near Skiathos Airport and you may experience some aircraft noise.